The Kutlass LX500 Cut Resistant Gloves is created from a specialised blend of advanced yarns provide cut level 5 protection in a lightweight, highly versatile glove. 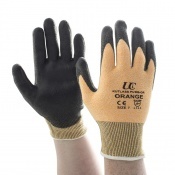 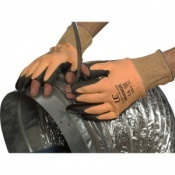 The incorporation of spandex vastly increases comfort and fit of the Kutlass LX500 Cut Resistant Gloves. 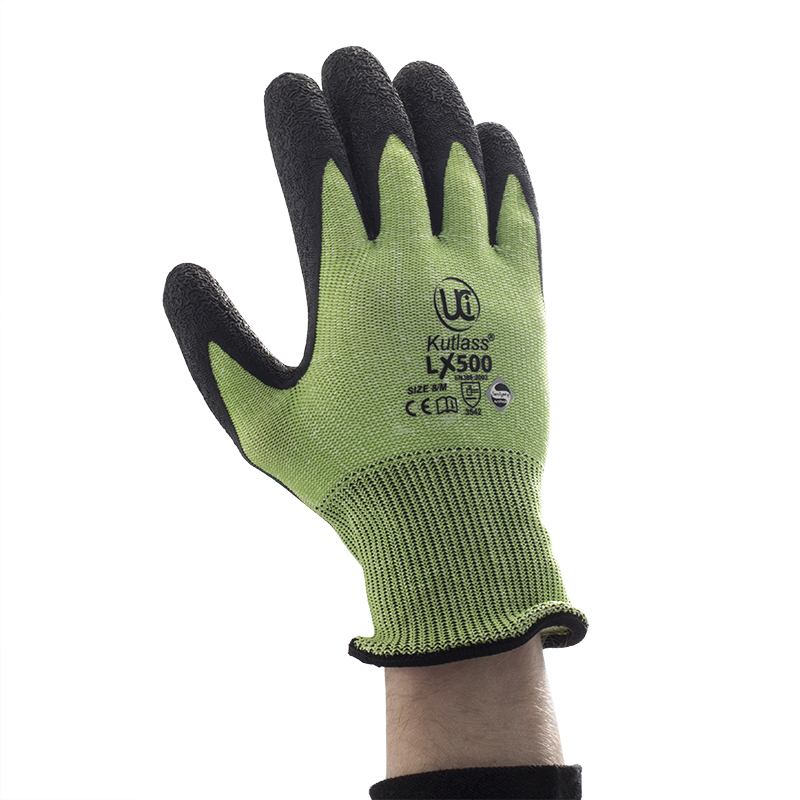 The flexible crinkle latex coating of the Kutlass LX500 Cut Resistant Gloves provides superb dexterity and grip for demanding applications. 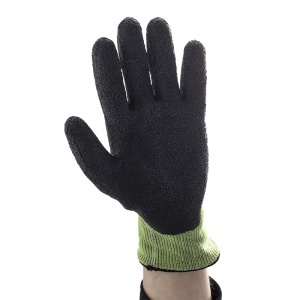 The breathable liner reduces perspiration and works in conjunction with the Sanitized® hygiene function to provide a fresh, comfortable and odour free experience throughout extended usage. 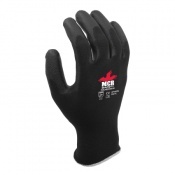 The product code for these gloves is Kutlass-LX500.